Death is scary. Whether it’s the death of a pet, death of a loved one, or the death of a dream caused by the loss of health, or home, or relationship, or relevance, death is scary and confusing. It can leave us feeling lonely or maybe even feeling unnecessarily guilt. It can leave an empty feeling inside. It can punch us in the gut and take our very breath away. It can render us speechless, immobile, and numb. Death when it strikes at just the right (or wrong) time it can even cause us to question our faith, question the very reality of God. Death can shake the very foundations of our own lives, leaving us wondering if anything will ever be the same again. The death of Jesus shook the very foundations of the earth. When Matthew tells the story of the crucifixion of Jesus it’s a cosmic affair. There is no doubt left in anyone’s mind that the death of Jesus of Nazareth matters to the creator and Lord of all the universe. The curtain of the temple was torn in two. The earth shook with grief, and the rocks were split. Even strong tombs were opened by the earth-shattering reality that God had died. Yes, death can shake the very foundations of our world, like the earthquake that shook the ground as Jesus breathed his last breath on the cross. Death topples mountains into the sea. Death swallows up the living in tidal waves. Death sneaks in the night when we barely expect it. Death is scary. Death is unavoidable, even for the Son of God, and yet we all want to believe that there’s somebody out there who can defy it. In Matthew’s gospel, it seems that the women among Jesus’ followers do believe, that maybe, just maybe the One whose death caused the earth to shake could possibly have been telling the truth about his life after death. The women come to the tomb in Matthew’s gospel empty-handed; they come with the sole desire “to see.” The women who were there throughout his ministry, providing for him in body and spirit, the women who were there when he foretold his death and resurrection, the women who were there when he took that last earth shattering breath, the women who were there when his body was laid in the tomb show up with nothing but expectancy, nothing but hope. And when they arrive, just as the first day of the week was dawning, the earth quaked again. As an angel of the Lord descended, as he rolled back the stone right before their eyes, as he perched himself triumphantly on that very stone, a proud messenger from God, the earth shook from its very foundations, this time with unbound joy, because Jesus lives again. The geological event points again to the source of the miracle – – only the Sovereign over all the earth, only the one who began creation on the first day of the week with the separation of the light of day from the dark of night, could again cause the earth to quake early in the light of a new day, with the good news of new life, the good news of Jesus’ resurrection. Yes, death is scary, and the two women named Mary aren’t exempt from the fear that caused the guards at the tomb to drop like dead men. And the angel, recognizing this natural reaction, says what angels often say, “Do not be afraid!” Even as they left the tomb, having come and seen and now following the direction to go and tell, the women left with fear. But it wasn’t fear alone. Friends, we have come here this morning for all sorts of different reasons. Some have come with what looks like from the outside an unshakable faith. Some have come, let’s be honest, because mom or grandpa asked. And I imagine a whole bunch of us, if not all of us, have come because even though death is scary and this story seems far-fetched there is something that is kindled inside of us, some curiosity, some expectancy, some seed of wonder that is planted when the organ swells, and the choir sings, and the familiar words are proclaimed that makes us think there just might be something worthwhile here. There just might be someone death-defying, someone life-giving, someone true. That’s how the women went to the tomb on Easter morning, and ultimately what they found was joy. In the midst of their grief, in the midst of the confusion, in the midst of even their fear, they found joy. This morning as the dawn was breaking in Eastern Africa, worshipers began to gather at Christian churches in Kenya to worship the Risen Christ in services of prayer dedicated to the 148 men and women who lost their lives on the night of Jesus’ betrayal and arrest. 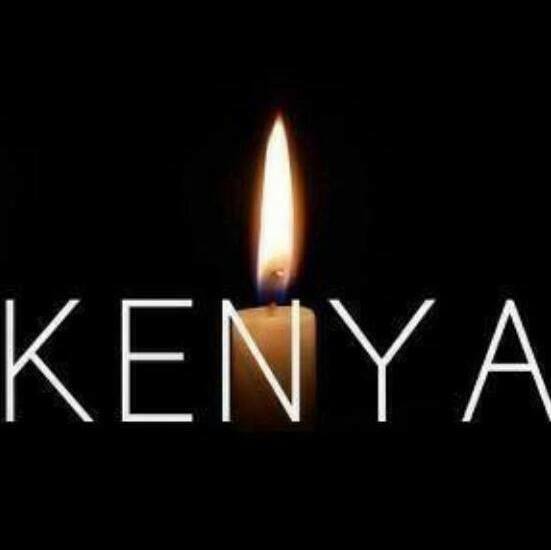 Not just in Nairobi, not just in the countless towns and villages where Christians live across that beautiful country, but even in the town of Garissa where the faithful believe what the angel said, “Do not be afraid. He is not here; for he has been raised, as he said.” When they gathered there was mourning and the collective sharing of sorrow, but there was also singing, the clapping of hands, and even dancing, because in the Risen Christ these saints have found, we can find, the one who defies death; we can find joy. And when we find joy we are blessed with courage, the courage to face death, the courage to breathe again ourselves, the courage to go quickly and tell, “Christ is risen! He is risen indeed!” Alleluia! Amen!